This 5-week course covers the core postures, basic breathing and relaxation. Each week will be different, focusing on strength and flexibility. Still unsure? Call Kim for a chat. Worried about equipment? White Horse Yoga Centre is a fully equipped centre, with toilets, place to change, and a heated floor. All classes at the White Horse Yoga Centre are offered on a course/termly basis which are usually between 5 and 7 weeks in length. Classes are not offered on a ‘drop in’ basis except during school holidays. 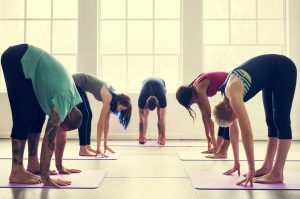 White Horse Yoga is committed to the safe and effective teaching of yoga where the needs of the individual are taken into full consideration. It is our firm belief that this cannot be achieved in classes where the class student basis varies from week to week. To ensure progression (and not stagnation) students need to work at a level that suits their needs, aspirations and abilities. 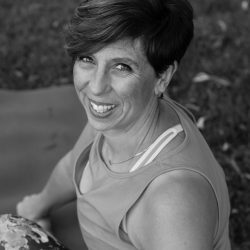 White Horse Yoga is committed to effective progression and development and this can only be done on a ‘course’ basis and with classes being offered at different levels. Unfortunately no refunds can be given for classes missed. However, if you are unable to attend your class it might be possible for you to make this up by attending another class with the same teacher. This, of course, is subject to availability. Every effort will be made to help you find an available place. The centre will be closed during most school holidays with the exception of the long summer break where a separate timetable will be available for existing students.